Join us for networking, presentations and a facility tour at Bees Ferry Compost Facility. Attendees will hear from Art Braswell on the Bees Ferry Compost Facility as well as Jana White from SC DHEC on proposed regulations. Following the presentations, we will tour the facility and have the opportunity to network with fellow attendees. 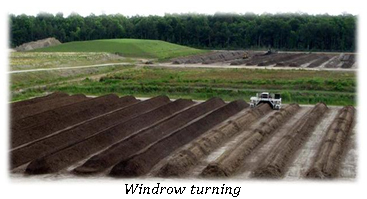 Charleston County began composting yard waste in 1993 at the Bees Ferry Landfill and averaged about 20,000 tons per year. Today the Compost Facility covers 36 acres and processes 100% of the yard waste generated and accepted at the landfill, nearly 59,000 tons a year.